Online meetings are getting easier at the University of Oregon thanks to the gradual expansion of Skype for Business on campus. 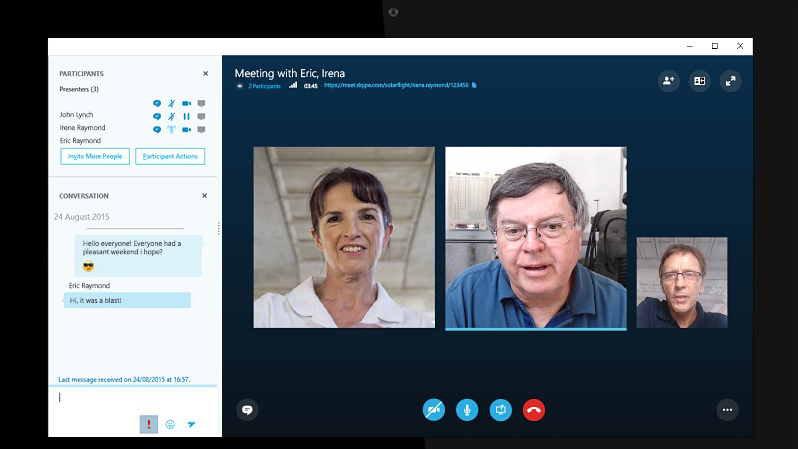 In mid-March, faculty and staff in seven units joined a growing number of employees with access to Skype for Business, a multifaceted collaboration tool similar to BlueJeans, Zoom, WebEx and GoToMeeting. People who have installed the software can also poll meeting attendees, share a virtual whiteboard and schedule online meetings through Microsoft Outlook. Skype for Business is available at the UO at no additional cost as part of the existing Office 365 service from Microsoft. Although it is similar to the consumer version of Skype, Skype for Business is a distinct software product. Information Services began an initial limited rollout of Skype for Business in October. The service is now available to employees in the College of Arts and Sciences, College of Design, College of Education, Lundquist College of Business, School of Journalism and Communication and several other units and will be extended to employees in remaining units as part of an ongoing phased service launch. When a unit receives Skype access, faculty and staff in that unit will be notified by their IT staff or by Information Services. As long as the service continues to perform well, the plan is to ultimately make Skype for Business available to students. Although people can make audio calls through Skype for Business, Chinn said it isn’t meant to replace telephones because it doesn't connect to the public phone network and therefore can't dial 911 or the UO Police Department. People with Skype for Business access may invite anyone to a Skype for Business meeting, including UO students and employees who don't yet have direct access and people unaffiliated with the university. Such invitees may only join meetings as guests, following instructions in the UO Service Portal. The university’s current Skype for Business offering doesn’t allow people to call in to meetings from a telephone, although the call-in feature may be offered in the future. The UO Service Portal offers a wealth of additional information about the Skype for Business service and how to use it. For additional help with Skype for Business, employees should contact the IT staff in their respective units. Employees unsure about the right contact point should submit a help request through the UO Service Portal. More information about the rollout of Skype for Business, including a list of units whose employees currently have access to the service, is available on the Information Services website.